Product prices and availability are accurate as of 2019-04-17 23:12:25 EDT and are subject to change. Any price and availability information displayed on http://www.amazon.com/ at the time of purchase will apply to the purchase of this product. The photo luminescent pigments absorb and store energy from natural ambient light that makes the tape glow in total darkness after exposure to artificial or natural light. 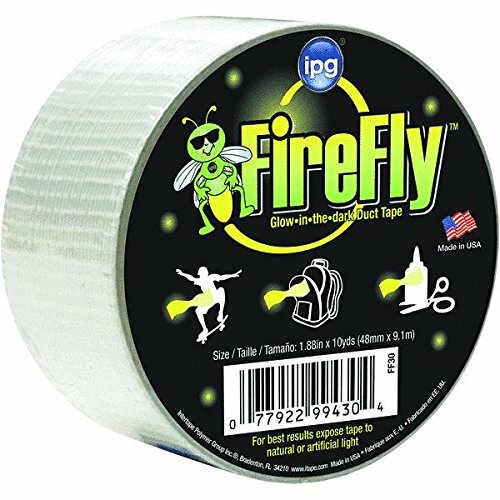 Great novelty tape usage for labels, decals, sporting goods, trim and special effects. Product has excellent resistance to UV light and does not show significant degradation when used outdoors.